ISTANBUL - Çukurova Group’s Genel Enerji, which started pumping oil from northern Iraq with its partners this month, is merging with Britain’s Heritage Oil. Heritage will pay $2.45 billion in stock to Genel Enerji shareholders. 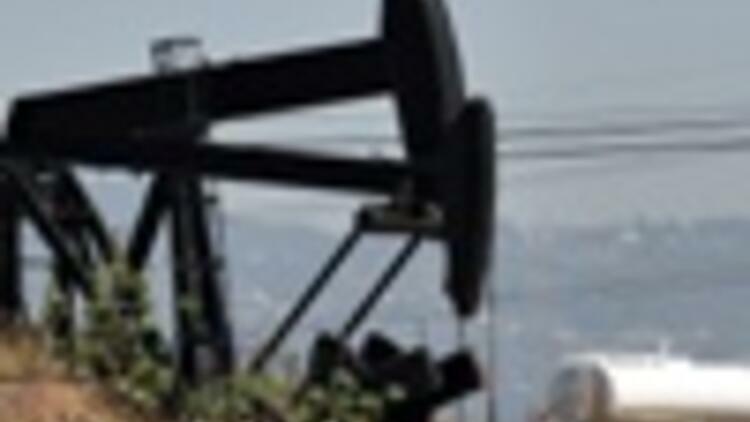 The new firm, to be named HeritaGE, will be the biggest oil producer in northern Iraq. Bloomberg reported that Heritage agreed to buy Genel Enerji for 1.52 billion pounds ($2.45 billion) in stock, thus creating the biggest producer in Iraq’s Kurdish territory after the region started exports. Heritage will issue 260 million ordinary shares to pay for the deal, giving Genel shareholders about 50 percent of the combined company, Bloomberg quoted a Heritage statement as saying Tuesday. The catalyst for the takeover was the start of oil exports from the autonomous Kurdish region in the north of Iraq at the beginning of this month. Addax Petroleum, the Geneva-based oil producer that also operates in the area, said Monday it too was in preliminary talks with third parties expressing an interest in a "potential transaction." "You’ll definitely see more deals in [the region]," Bobby Sarkar, a Dubai-based analyst at Al Mal Capital, told Bloomberg. "It’s an underdeveloped region where they need energy. And they want to be net exporters of energy." Heritage values the Turkish oil company at between $3.3 billion and $3.6 billion, based on both net asset value and a price-to-earnings calculation, giving the combined company a market value of about $5.5 billion, Heritage’s Chief Financial Officer Paul Atherton said on a conference call. Genel is a subsidiary of Çukurova Group, whose interests range from energy to media assets. Heritage reported a "major" oil discovery in the Miran West structure of the Kurdish region of Iraq last month, which it said could pave the way for "transformational production rates." It holds a 75 percent interest in the Miran license, with the rest held by Genel. Net production for the new company from the region is now 30,000 barrels a day and is estimated to rise to 43,000 barrels a day by the end of the year, the firm said. Genel has interests in two producing oil fields and is the joint operator of the Taq Taq field, with a 55 percent working interest, as well as having a 25 percent working interest in the Tawke license. "The advantage of the deal to Heritage is that it achieves significant oil production immediately with material scale" and links it with a company that has already developed an oil field in the region, Job Langbroek, an analyst at Davy Stockbrokers, wrote in a note Tuesday. Heritage dismissed concerns over whether oil producers will be paid, since Iraq has yet to grant export licenses. "The President of Iraq said on June 1 the Kurdistan Regional Government deals are legal and constitutional," Atherton said. Heritage’s Chief Executive Officer Tony Buckingham will be appointed executive chairman of HeritaGE, while Mehmet Sepil, Genel’s chief executive, will take over the same role at the new company. Çukurova Chairman Mehmet Emin Karamehmet, 64, is Turkey’s second-richest man with $2.9 billion, according to Forbes magazine’s list of billionaires in 2009. He’s also the chairman of Turkcell, Turkey’s biggest mobile phone company. Tuesday’s deal will be classified as a reverse takeover of Heritage and the enlarged company expects to join the FTSE 100 index of leading U.K. shares. Addax surged 11 percent Tuesday after the producer disclosed talks concerning a transaction. Korea National Oil Corp. is considering a possible takeover of the company, the Financial Times reported Tuesday, citing people with knowledge of the situation. Heritage shares gained 15.1 percent since June 2 and were trading at 610 pence in London Tuesday afternoon. Oil producers are studying acquisitions as falling crude prices and lower equity values make assets affordable. Emirates National Oil Co., the Dubai state-controlled energy company that’s the largest investor in Dragon Oil, said last week it may make an offer for the remaining stock. DNO International spokesman Ketil Joergensen said the company doesn’t comment on speculation and could neither confirm nor deny any talks with Heritage. Heritage, which had a $41.3 million loss last year, sold its assets in Oman to RAK Petroleum in April for $28 million to help fund operations in northern Iraq and Uganda. Heritage is fully funded until the middle of next year, Chief Financial Officer Paul Atherton said May 6. Heritage reported a "world-class" oil discovery in Uganda with Tullow Oil in January that it said has "multibillion barrel potential."